Sidney Attachments builds robust, long-lasting, heavy duty attachments: tree shears, tree saws, grapples, tree & post pullers for most makes of skid steers, loaders, tractors and excavator equipment. 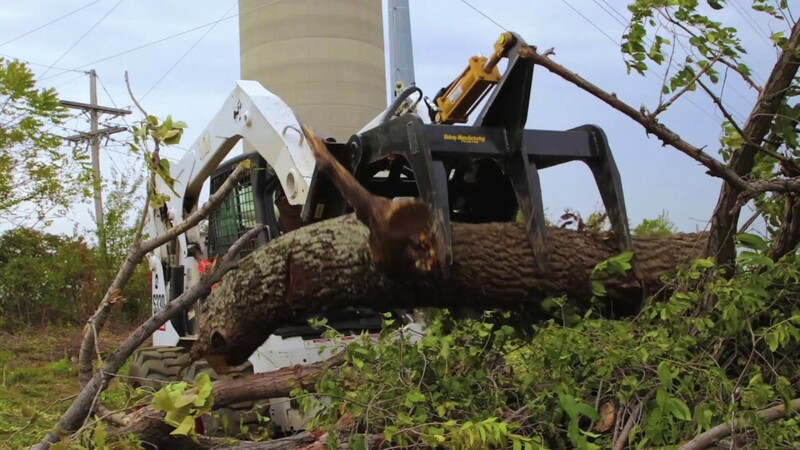 Whether you have an overgrown lot that needs clearing or a construction site that needs debris removal, we have the attachment to get the job done! Built from high strength, high tensile steel, our attachments are rugged and will provide a lifetime of service. Sidney Attachments is owned and operated by Arrow Products and we offer a warranty with all our products. All Sidney Attachments return policy, warranty, and terms apply to all purchases.